Please call (07) 3896 2200 or email [email protected] for all Boarding School enquiries. Alternatively, complete the contact form below. Please call (07) 3896 2219 or email [email protected] for all Prep School enquiries. Alternatively, complete the contact form below. Please call (07) 3896 2200 or email [email protected] for all general enquiries. Alternatively, complete the contact form below. For school tour bookings, please click here. Alternatively, email [email protected] or complete the form below to send a message. 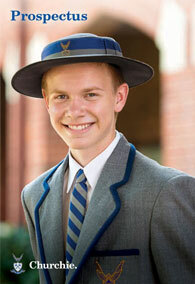 Churchie also runs Headmaster's Tours. These special events occur throughout the year. Find out more about Headmaster's Tours here. Please call (07) 3896 2200 or email [email protected] for all Senior School enquiries. Alternatively, complete the contact form below. Please call (07) 3896 2226 or email [email protected] or [email protected] for all School Marshal related enquiries such as transport to and from Churchie. Alternatively, complete the contact form below. An error occured processing your form. Please try again. Thanks! We'll be in touch shortly.